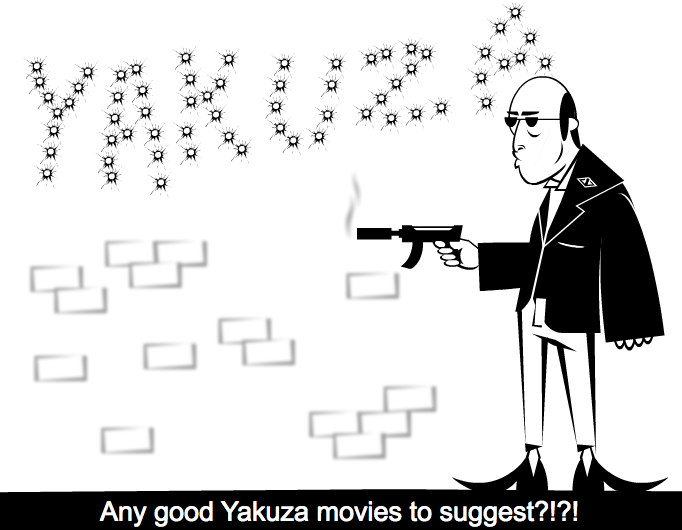 Any good Yakuza movies to suggest?!?! WHAAAA O__O Amazing effect, that is! The figure looks from the maffia, en the bullets on the wall look so real.. Fantastic! @abrotons Funny, I've seen almost every kurosawa movie except that one. You people rocks! Keep 'em comming! dont know of the movies but the tattoo art is amazing! @Ada, @maori and @kenny Thanks a lot! @Ada, @maori Takeshi, of course! Duh! Try Jingi Naki Tatakai. Not sure of the English title.